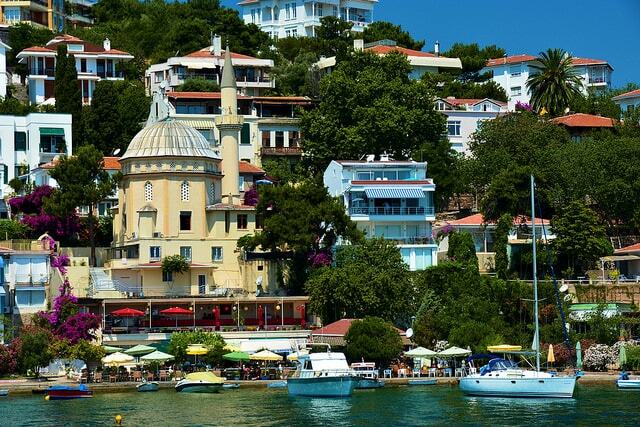 Bosphorus locates just in the heart of Istanbul as much as in the life of an Istanbulian. The most expensive houses positioned along the Bosphorus where one can see spectacle sea view and bridges connecting the two continents. You’ll just understand why Istanbul has been the heart of empires while traveling between two continents: Asia and Europe. 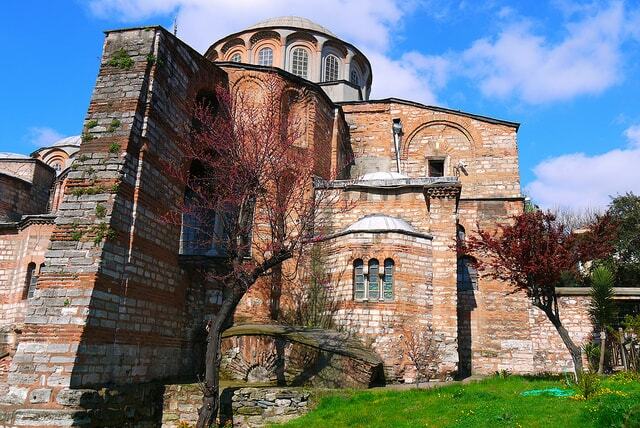 Not as popular as Hagia Sophia, but Chora church is in the Edirnekapı, Fatih region and is one of the most interesting churches in Istanbul. The walls of the church are covered with really beautiful and well-preserved mosaics. This medieval Orthodox church is built in the 4th century and attracted many believers in the Byzantium era until Mehmed the conqueror converted it into a mosque; today, Chora church is a museum. This Impressive church is considered as the peak of Byzantium architecture and said to ‘changed the history of architecture’ due to the huge dome and its unique structure. 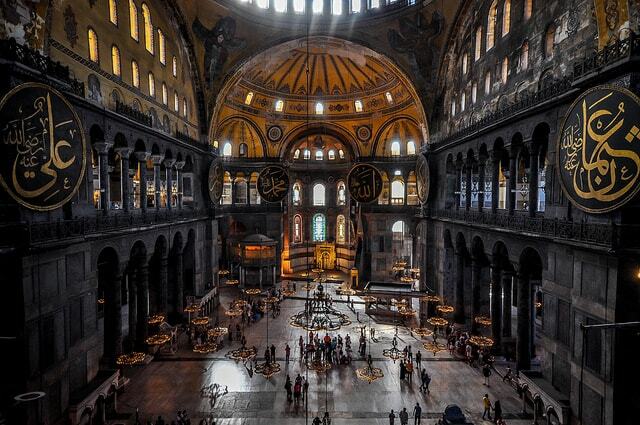 Hagia Sophia was constructed in the 6th century in the era of Roman Empire and served as a church until the fall of Constantinople. It converted into a mosque, later a museum with the establishment of the republic. Blue mosque is located in front of Hagia Sophia in the Fatih region. The huge mosque was constructed in seven years (between 1609-1616), in front of Hagia Sophia, as an epitome of Ottoman architecture. The mosque walls are covered with blue handmade tiles, that’s why the colloquial name is ‘blue mosque’. The oldest shopping mall and most visited tourist attraction (recorded in 2014). 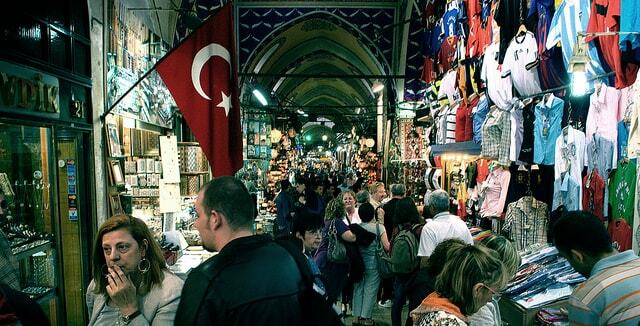 The heart of Constantinople commerce, Grand Bazaar, still serves the same purpose. You will surprise how many languages you could hear! If you want to buy something, you HAVE TO use your bargaining skills to convince for less price. Because No. 1 rule is you have to bargain in Grand Bazaar! Yogurt occupies a big portion in the daily diets of the Turkish. The word, yogurt, has been borrowed by many languages keeping its original form; however, how it is eaten has changed a little bit. Turks prefer to eat the yogurt plain. 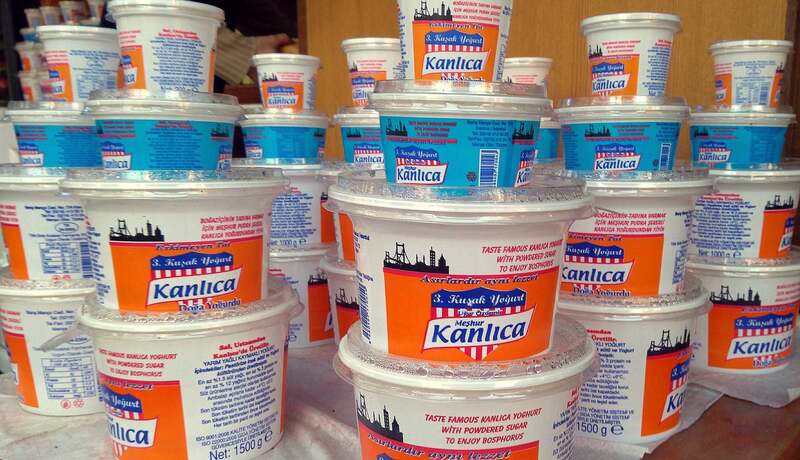 As a desert, kanlıca yogurt is eaten with grape syrup (tr. pekmez), honey (tr. bal) or cherry/berry jams. You have to taste this delicious yogurt at the motherland of yogurt! 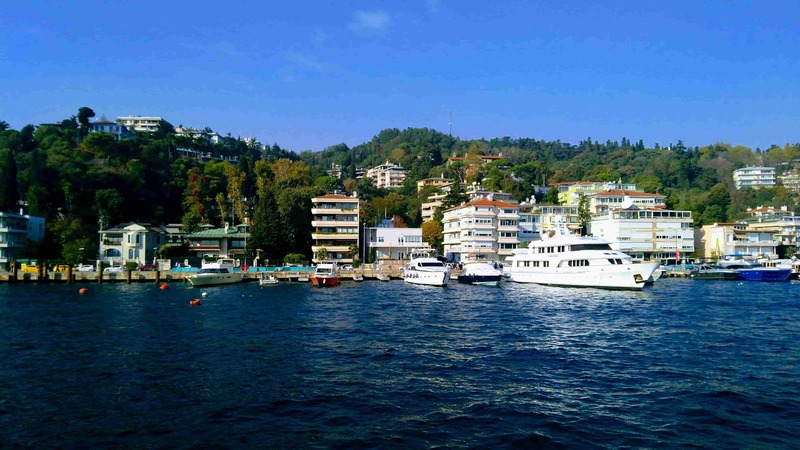 If you want to stay away from the crowd and have a drink, you must visit Kadıköy and especially Moda coast. Numerous bookstores, fish restaurants, ice cream shops, bars, cafes and many waits for you. At the seaside, there is long meadow where you can watch the sea and blend in the local people and local life. Prince Islands consist of 9 different islands: Big Island, Saddlebag Island, Fortress Island, Henna Island, Mother-of-Pearl Island, Flat Island, Sharp Island, Spoon Island, Rabbit Island. Beautiful ferries take you there costing less than 3 dollars. In summer, it is a frequent destination for tourists but spring and autumn, the islands are just so much beautiful. For those who want to have a romantic night or a calm day in which you read your book and drink your cold beer, islands are just a perfect destination for you! 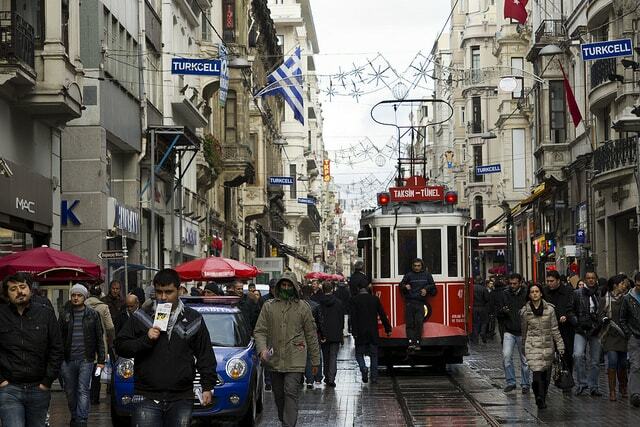 Istiklal street and Beyoğlu region is (I think) the most popular and busiest site for tourists. Many Catholic and Orthodox churches still serve for non-muslim citizens and are open for tourists. Coffee shops, bookstores, bars, and authentic shops have been running there since Constantinople times. 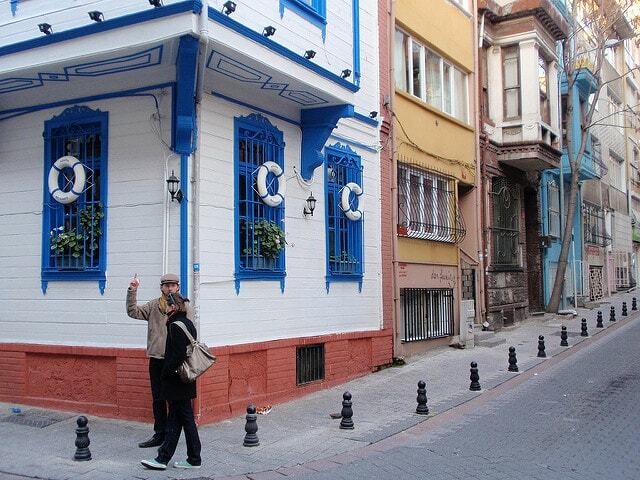 Beyoğlu and Galata have a highly diversified population even today. As you walk to the Karaköy region, Galata tower will impress you with its uniqueness and architectural style. The best part is you can climb there and watch a breathtaking view of Istanbul. An US embassy employee, Metin Topuz, was allegedly accused of having links to Fethullah Gülen movement. Topuz, a Turkish citizen who works for US embassy was arrested last week because he knew key information on the alleged involvement of US in the coup. Erdoğan has requested Fethullah Gülen from the United States for several times but this request was not accomplished. Erdoğan even bargained releasing Pastor Andrew Brunson who had been arrested for involvement in the failed coup. 78 signatures have been gathered for the release of Pastor in the Congress. After the US suspended visa service for Turkish citizens, Turkey also put the services on ice. This restriction blocks US citizens entering Turkey and Turks in North America. It doesn’t apply if you already have a visa. 11 Turkish words you won’t believe they are borrowings! Turks have been living in numerous geographies and been in interaction with many cultures and languages. Because of that, there are a large number of borrowings in the language. The interesting thing is that by time these words gain Turkish phonetics and evolve to fit into the mayor and minor vowel harmonies. (e.g. Asya, Avrupa) In this page, we are going to investigate Turkish borrowings that you won’t believe that they are actually borrowings! If you think that this word is derived from the Turkish verb ‘kaldırmak‘, you are wrong. The opposite would be then, indirim? hehe. ‘Kaldırım’ is derived from Greek word kallidrómos (καλλιδρόμος) meaning ‘good/beautiful road‘. Kalo (beautiful) + drom (road); we encounter the same word ‘drom‘ in ‘hippodrome‘. Gopher snake. These snakes kill their prays by squeezing them to death (boğmak). However, ‘boğa yılanı’ is definitely not derived from the Turkish verb ‘boğmak‘. They usually live in South Africa and Madagascar and can eat a Jaguar or a pig at a time. These snakes are called ‘boa‘ in the local language of the region. So, the correct writing would be only ‘Boa‘, as in ‘Piton‘ or ‘Anaconda‘. Yet ‘boğa yılanı‘ totally like a good fit with by a lucky coincidence. This word has been in Turkish for too long that, like many, it sounds like it is Turkish. The first appearance goes before 1500. It is borrowed from the Persian word āfirīn (آفرين) and by time, it evolves to fit in major vowel harmony. Its original meaning is ‘compliment’ in Persian which is now used as ‘bravo’ in Turkish. Turkish has borrowed this word from Persian kelīd (كليد), meaning ‘anahtar‘. Persian, on the other hand, has borrowed this word from ancient Greek kleid (κλεïς). The Greek word is derived from an Indoeuropean root *klau (also reminds us ‘to close’ or ‘la clave’ in Spanish). Anahtar, on the other hand, comes from Greek with the meaning of aniχtēri (ανοιχτηρι) meaning ‘açkı, açacak‘ (en. opener). from Greek Maiandros, name of a river in Caria* noted for its winding course (the Greeks used the name figuratively for winding patterns). In reference to river courses, in English, from 1590s. Menderes in Turkish: Bir akarsu yatağının az eğimli koyak tabanlarında ve ova düzlüklerinde çizdiği S harfine benzeyen kıvrım. The land between the Euphrates and East Aegean sea was called Anatolía (ανατολία) in Medieval Greek. The latest folk of Anatolia now call the same land ‘Anadolu’. The earliest appearance of the word is in Düsturname-i Enveri (1456). The Greek word is derived from the ancient Greek anatolē (ανατολη), literally meaning ‘rising’ since the sun rises from the east Aegean coast. Base. The word comes from the Greek word themélio (θεμέλιο). Base of a sculpture is called ‘themélio’ in Greek. The first appearance in Turkish is in the 15th century of Ottoman Turkish which is quite early and today keeps the same meaning. It is surprising that the famous protagonist of Turkish jokes, Temel, takes its name from Greek. Kermiss, charity sale. We encounter the same word in many occidental languages. (Kermesse in Spanish and French) The first apperance in Turkish is in 1935. It is borrowed from French ‘kermesse’ which means ‘charity sales after sunday seremonial’. It is a compound word of Greek ‘kýrios’ κύριος (Gr. lord, god) and Latin ‘missa’ (masa, sunday seremonial) first appeared in German. Credits for First, Second, Third photos. Etymonline – Source for English words. Etimolojiturkce.com – Source for Turkish words. This entry was posted in Blog and tagged borrowings, interesting borrowings on by fluentinturkish. A Turkish actor (Cüneyt Arkın) is captured by Byzantine soldiers in a movie. barbarian Lombard who abandons his own culture and dies defending Ravenna, the city that he had formerly tried to raid. Something of this incomprehensible yet meaningful passage is certainly present in the relationships between the Byzantine and early Turkish cultures. Many reasons represented an obstacle to the closeness between the Greeks and the Turks: they had very different languages, Islam was not an acceptable religion for Byzantines. The lifestyle of a Turkish raider was remarkably different from that of the Byzantine cities dweller. At first sight, it would seem that Turks and Greeks were mortal enemies. And yet a significant number of Turks were integrated into the Empire, even in their higher ranks. steps. The first of all was baptism, whereby the man abandoned his old life and was reborn a new person. It would seem like it was a hard step to take, but we should bear in mind that Islam was a relatively recently adopted religion to the Turk people and they cohabited in Anatolia with a population which was predominantly Christian. After baptism, they would receive titles and gifts, wealth that might have seduced them more than the nomadic lifestyle. Education on the Occidental culture would also play a key role, but the fullest stage of incorporation would come with marriage bonds. the very bosom of the imperial family and achieved high relevance in politics and warfare. There is also the singular case of the refugee called Koutloumousios by the Greeks, who became a Christian and founded a monastery on Mount Athos. Turkish force on behalf of the dying Byzantium. But it is not less true that from the tenth to the twelfth century the Empire did not seem on the verge of collapse, quite the contrary. However, as well as Borges’ story has its other side, this one has its too, for plenty of the Byzantium citizens decided to proceed likewise and abandon the Empire in order to join the Turkish power. Studied Ancient Greek and Latin at the Universidad de Buenos Aires, AR where he currently makes his research. He speaks four languages and currently learns German and Turkish. He also teaches the Spanish Language at several Argentinian secondary schools. This entry was posted in Blog and tagged byzantine, turks in byzantine empire on by fluentinturkish. If you read any Turkish newspaper nowadays, you’ll find that the vocabulary is quite similar to occidental languages. Certainly, the alphabet they use is not very different than the ones used in Occident. But it was not always like this! 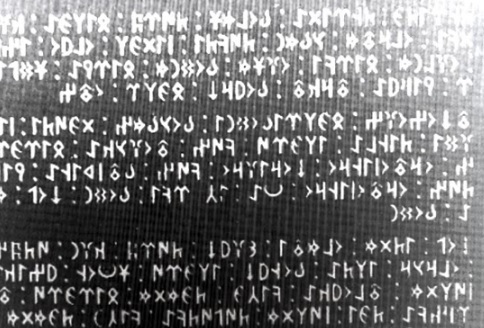 The old Turkic language was written in its own alphabet, which looks very similar to the Germanic runes (although there is really no relations between them). The Göktürk or Orkhon script is thought to derive from the Aramaic alphabet or perhaps from Chinese scriptures. About two hundred inscriptions are preserved and they all stem from the area of Mongolia, dated from the 7th to the 10th century. Which scripts have Turks adapted to their language? When Turkic peoples began to move south to Anatolia region in the following centuries, they came into contact with the Byzantine, Arabic and Persian cultures. The Ottoman Empire official script was the Ottoman Turkish alphabet, an adaptation of the Arabic alphabet which worked quite good for the words loaned from Arabic and Persian, but not so well for the vernacular. Finally, this script was relinquished officially in 1929, when the westernization of the nation was in full swing. In its place, it was adopted the Latin alphabet that was used in most of the European countries and in whole America. Of course, it needed some attaches and modifications to suit the Turkish language, but only seven new characters appear. To us, this is an obvious advantage since we don’t need to deal with some complicated writing system to communicate within Turkey. However, this represented a severe shock for the Turks of the first half of the 20th century. The work of schools was the key factor in this point and nowadays the adapted Latin alphabet’s use is fully extended in the country. 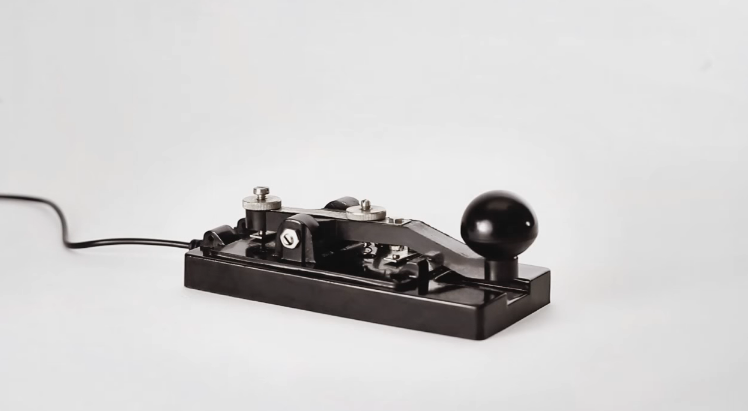 Actually, there is an incredibly small number of people who is able to read a newspaper from… less than a century ago! Imagine such an obstacle, for example, to study a document of 90 years old. This entry was posted in Blog and tagged written turkish on by fluentinturkish. The referendum has resulted. No campaign that is led by Erdoğan narrowly won with 51% “Yes”. Erdoğan won another victory. This victory involves more powers on him. Even though he won this referendum, numbers show us that his party (AKP) is not able to form the government alone in the next elections but by some kind of coalition with another party. The biggest three cities of Turkey, Istanbul, Ankara, İzmir voted for “Hayır”. Votes coming from provinces and Europe (Turks living in Germany, Austria, France etc.) were in the favor of “Evet”. The boom of conservative thinking surprisingly is being widespread in the world. On the Turkish media, It is quite controversial if Turkey needs a radical political change right now. We will wait and see if this constitutional amendment will be good for Turkey or a leap in the dark. iyi yillar, happy new year! 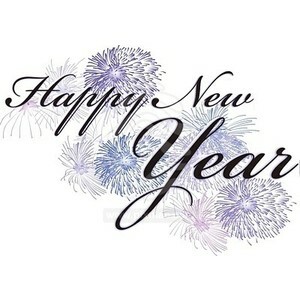 We wish you a happy new year! We hope 2017 will be a better year than 2016 for all the humanity and all the world! Herkesin yeni yılını kutlar, 2017’nin 2016’dan daha iyi bir yıl olmasını dileriz! Bütün insanların daha mutlu olduğu bir yıl olması dilekleriyle.